These issues are surfacing locally and nationally and represent deeply important community conversations. In Minneapolis, leaders recently restored the traditional Dakota name Bde Maka Ska (White Earth Lake), replacing Lake Calhoun, named for John C. Calhoun, a slave owner and slavery proponent. Students at Alexander Ramsey Middle School pushed to have their school renamed to Judge Alan Page Middle School. 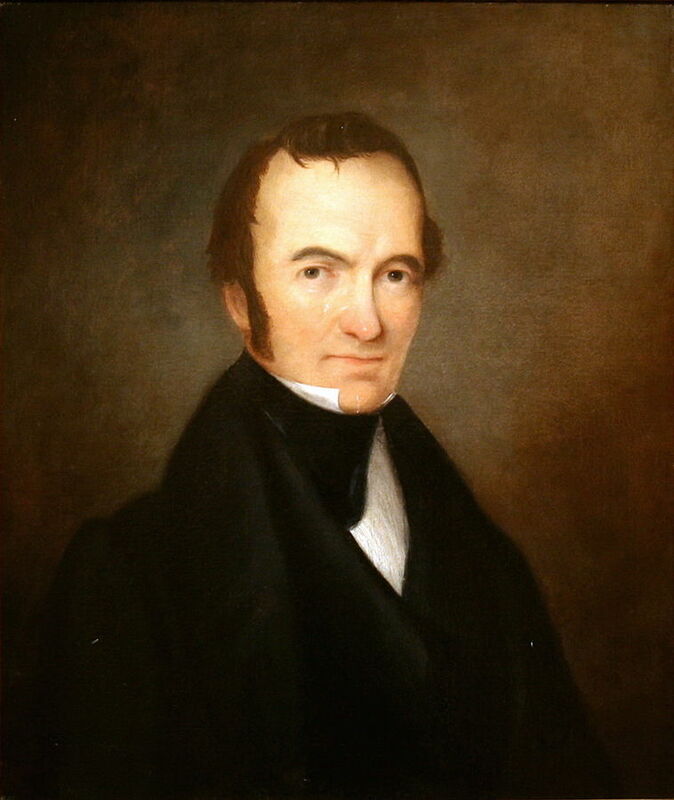 Ramsey, Minnesota’s first governor, helped negotiate treaties unfavorable to the Dakota for personal gain; after the Dakota-U.S. War of 1862 he put bounties on Dakota scalps. 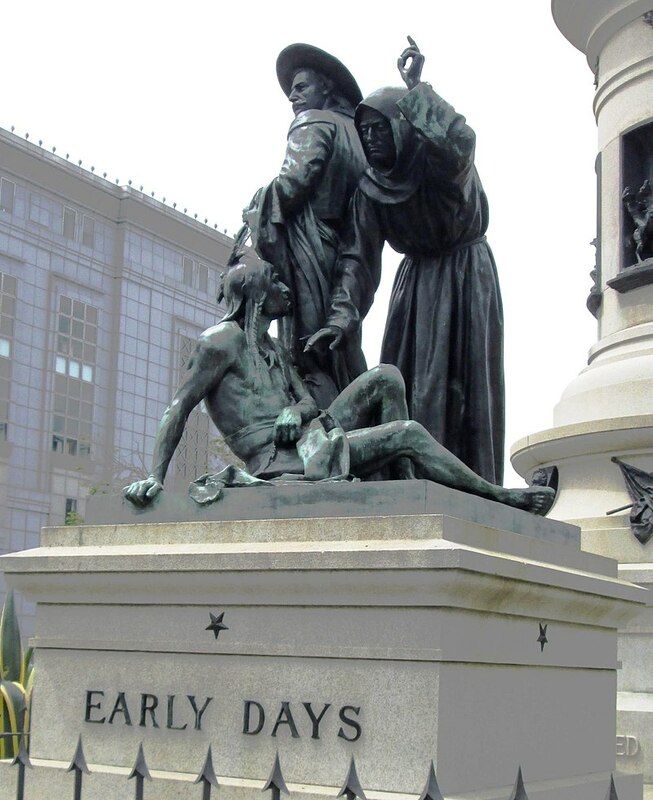 San Francisco: This blog reported earlier that San Francisco had decided to remove a city sculpture showing a Native American submissively sitting at the feet of a missionary and a vaquero. (See: From San Fransisco to New Hampshire, Communities Wrestle with Problematic Public Art.) According to the Stateline story, the fate of the San Francisco statue is now up in the air. The city’s Historic Preservation and Arts commissions voted this year to remove the statue, but the city’s Board of Appeals reversed the decision. The debate goes on. LaCrosse, Wisc. 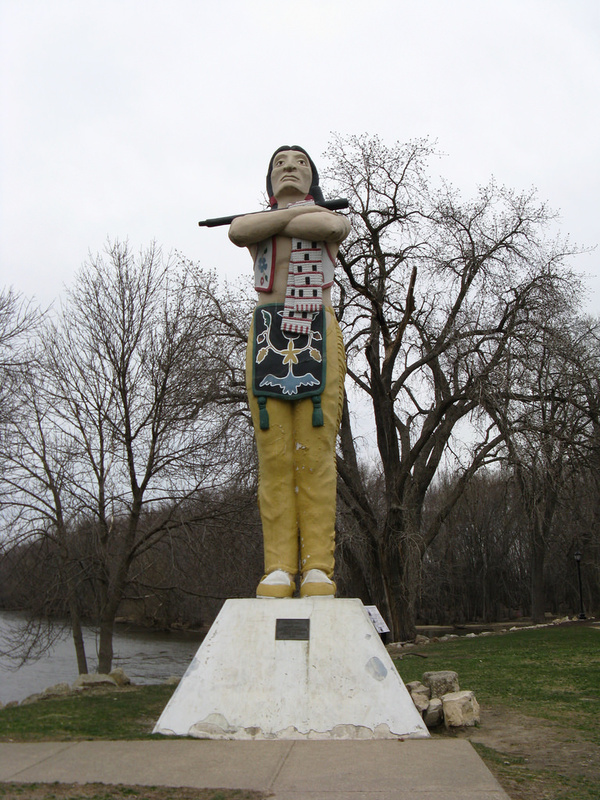 : LaCrosse city officials “are meeting with members of the Ho-Chunk Nation to plan for the removal from a public park of a 25-foot painted concrete statue of a Native American dubbed ‘Hiawatha,’” according to the Stateline story. … communities across the country have removed 110 Confederate symbols, including 47 monuments, since June 2015, when a white supremacist killed nine African Americans in a Charleston church and sparked a national conversation about commemorations of the Confederacy. There are still 772 Confederate monuments in place. Click on the links above for more details on each story. What Kind of Art Should Courthouses Have? Once you start asking the question about the power of images, issues surface all around. For instance, the Star Tribune just ran a piece headlined: Posthumous portraits preserve Minnesota’s federal court’s history: The four portraits commemorate federal judges in Minnesota who have long since passed. The article was a feature about a new portrait honoring the late Judge Gunnar Nordbye, who, the story tells us, tried associates of famed gangster John Dillinger. All but a handful of people who go to that particular courtroom will know anything about him. I have nothing against Nordbye. But all I could think is “Here we go again.” We are treating courthouses as museums or history centers rather than places of justice. We are looking backwards instead of forwards. What is the right artwork for a courthouse? That’s a great question for community discussion. But filling courtrooms with pictures of old white judges isn’t the right path forward. It reinforces an old narrative about who is in charge. Last comment. The new Nordbye portrait shows him with a small Norwegian flag, a nod to his homeland. Imagine how the public reaction might be different if a current judge had a portrait with a small Mexican flag, or a small flag of the White Earth Band of Ojibwe, or a small flag of Somalia.